The idea of a wide notch atop a smartphone display does not seem to resonate with a lot of users. While the launch of iPhone X did mobilize the trend, we witnessed its peaking followed by a crash in the last year, with smaller water drop notches replacing bigger ones. No doubt, the notch is a practical solution to the placement of the selfie camera, especially on budget smartphones, but it can not be called the most attractive choice. Meanwhile, the desire to preserve the symmetry of the screen and the privilege of boasting about the highest screen-to-body ratios has resulted in more innovation. Vivo and OPPO are two companies leading this crusade and experimenting with different slider mechanisms to house the selfie camera and face unlock sensor. 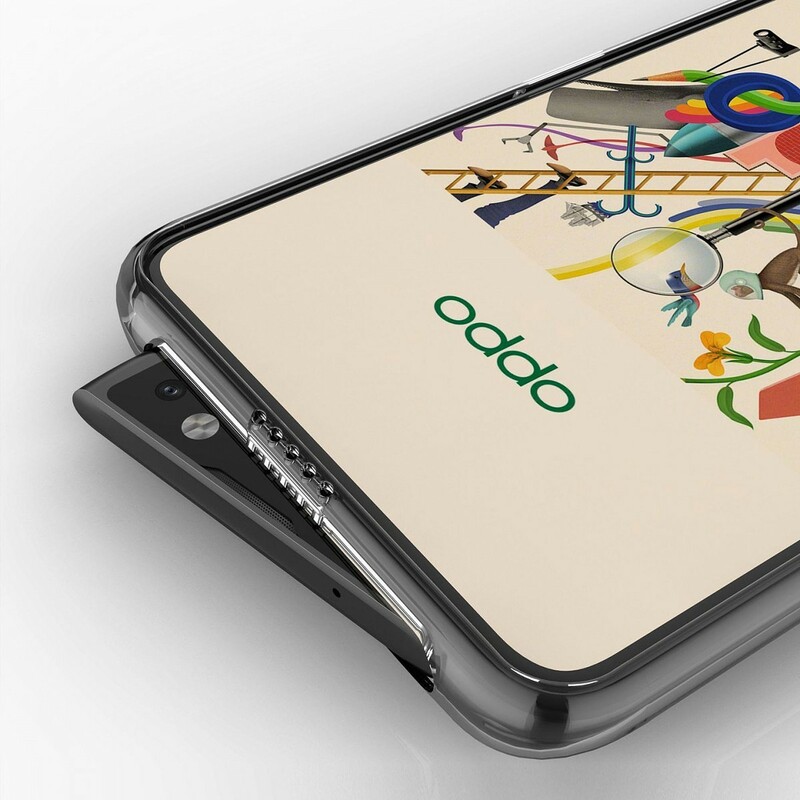 We’ve seen pop-up cameras, motorized and manual sliders, and now we’re witnessing something entirely different – a wedge-shaped camera pop-up, which might be seen on OPPO Reno later this year. 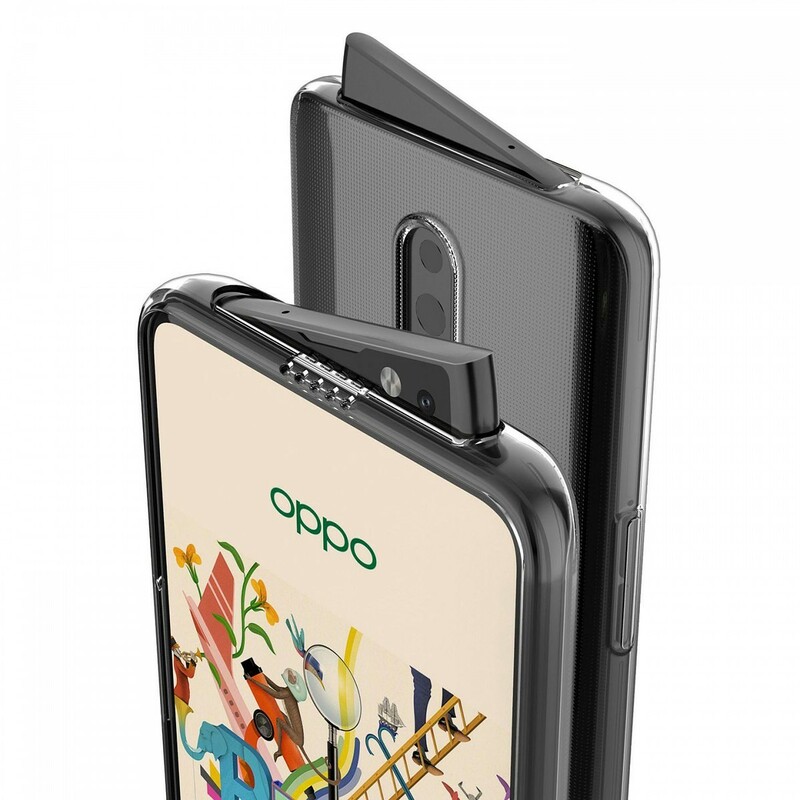 This swivel pop-up camera makes (possibly) the first smartphone in the OPPO Reno look like an animated character with levitating or disembodied eyebrows. It’s definitely peculiar and exciting, per se, because of its Swiss knife appearance which is why we may see more extreme reactions than the harmless notches on the iPhone or the Pixel 3 XL. 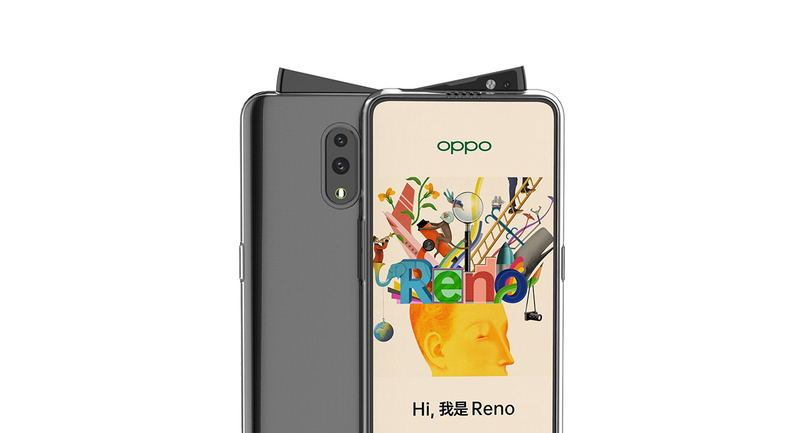 The first look of the OPPO Reno was shared in the form of digital renders via SlashLeaks. Meanwhile, in another video, we can see the slider lifting out of one side of its socket. Notably, the pop-up is motorized and also appears to house the earpiece. In the images, we also see a front-facing flash beside the selfie camera. Further, there’s nothing on the back apart from the dual cameras and a flash, suggesting the possibility of an in-display fingerprint scanner. A reflective surface on the back of the phone can also be seen through the cover but we’re not yet sure about the exact material used here. 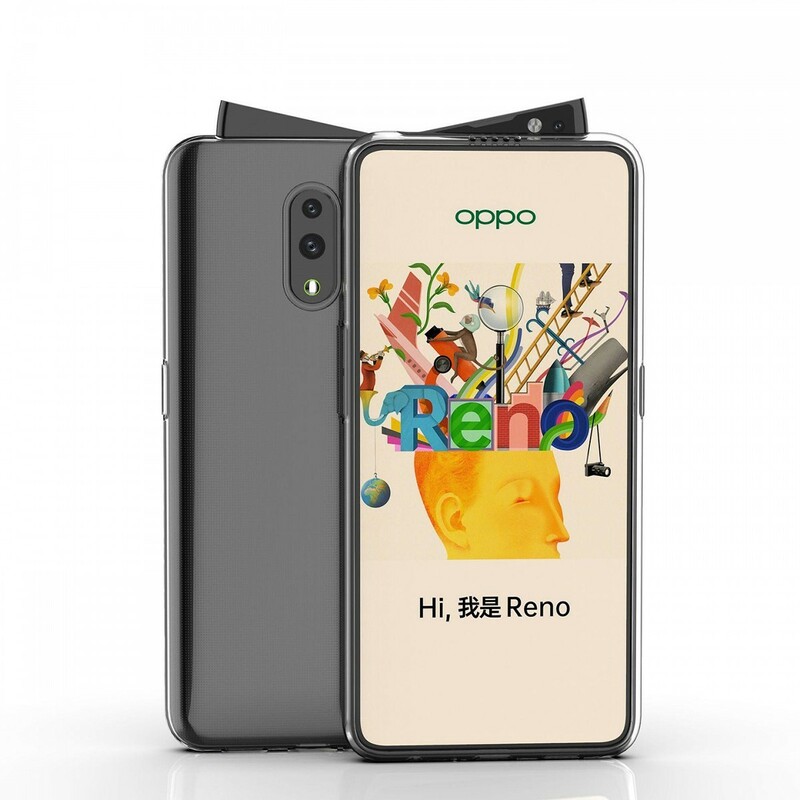 OPPO recently announced a new sub-brand “Reno” via Weibo while the VP Shen Yiren also shared the information that the first OPPO Reno device will come with high-end specifications including a Snapdragon 855 and 10X hybrid zoom. As per the original post, we can expect the first OPPO Reno to launch on April 10 which is not far away. In the meantime, you may mull the pros and cons of this design or imagine all the different sorts of notch-killing experiments we might see in the future.